"Click image below or HERE to go to the No Smoking Gallery. Most pictures enlarge when clicked." 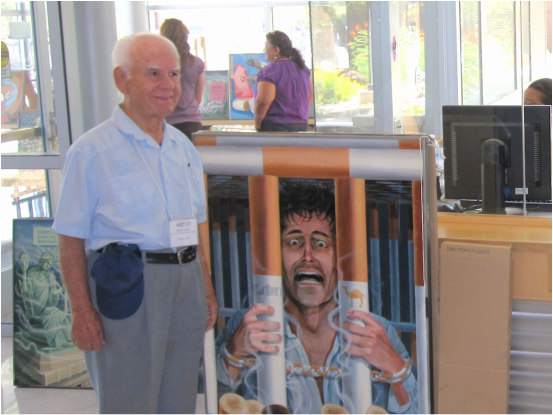 This Web Site contains photographs of a collection of anti-tobacco paintings available for display by lifetime artist Albert Ortiz. These were created in the hope that people would look at them and be encouraged not to smoke or chew. anyone is welcome to use any photograph for Educational Purposes Only. steer people completely away from using tobacco in any form.